The reserve protects the mangroves that grow in the estuary that incoporates the rivers Cayapas and Mantaje in the north of the Esmeraldas province; in doing so it safeguards both the area's high biodiversity and the many traditions of the communities and ancient peoples in the surrounding area, who rely on the mangroves the mangroves for their livelihood. Within this protected area there are records of mangrove trees of up to 60 metres tall; considered the largest in the world. The mangroves thrive here as result of abundant nutrients and the stablility of the climate, which enjoys a small annual temperature range. This protected area has several entrances. We recommend getting to the cities of Ibarra or Esmeraldas depending on the places that you are planning to visit. From Quito: Take the route Quito-Calacali-La Independencia-Esmeraldas (314 km) or the route Quito-Sto. Domingo-Esmeraldas (322 km). You can also take Panamericana Norte that joins Quito with Ibarra (123 km) and then the route Salinas-San Lorenzo. From Esmeraldas to Majagual: You arrive through the route Esmeraldas-Borbon until you reach Parroquia Las Peñas (95 km), from where you have to keep going north on an excellent road for about 12 km, until the Centro de Interpretación Majagual. To the Tola. You arrive through the route Esmeraldas-Borbon until Parroquia Las Peñas (95 km). From here you go North to Parroquia La Tola. Here you'll find a boat service for both locals and tourists. To Borbon. You arrive through the route Esmeraldas-Borbón (117km). from here you can enter the protected area by boat. The reserve protects two hydrographic basins in the northwest of the country, the basin located in the North of the Mantaje River and the one on the south of the Cayapas River, from which the name of the reserve is derived. The basin of the Mantaje River is bi-national since we share it with Colombia. The Cayapas River originates outside the reserve. Its main tributaries from inside the continent are the Santiago and San Miguel Rivers. The delta system that both rivers form at the mouth of the ocean include estuaries, canals, islands, islets, sandbanks and several types of beaches. A notable aspect that characterizes this area is the presence of warm currents throughout the year (between 26-29 ºC or 78-84 ºF), these circumstances make the thermic fluctuation to be the least registered in Ecuadorian waters, from where they get their great climatic stability. Camino Largo – Casa de Pargo. It is a 6.5 km long trail of medium difficulty in which tour guides are recommended to experience the natural scenery and wildlife of the area. La Mongonera - La Trocha. 3km boat ride. Caraño - Pichangal. 1km boat ride through the mangrove. Sta. Rosa - El Bajito. 2km boat ride. Guachal - Los Atajos. 3km boat ride, mangrove tour. Changuaral - Cauchal. 1km boat ride. For all the river routes mentioned above a tour guide is needed. More than two thousand year ago La Tolita, one of the pioneering pre-Hispanic cultures in the art of metal melting, flourished in the forests that make up the reservation and in its surrounding areas. The metallurgy of the Tolita – Tumaco (north of Esmeraldas and south of Colombia) is considered one of the most exquisite of the continent, not only for the creativity in its designs but also for their skill in their melting, blowing, and casting metal techniques. They are considered pioneers in the melting of gold and platinum. 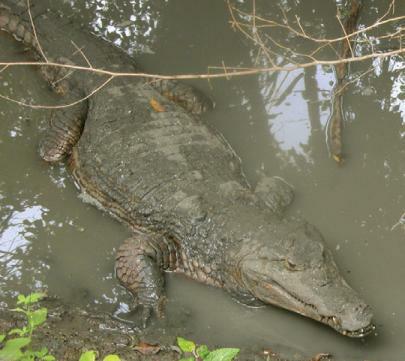 During the decade of 1980, the mangrove swamp was greatly affected throughout the Ecuadorian coasts due to the uncontrolled and unregulated installment of shrimp ponds; the Ecuadorian state responded and, with the means to protect these mangroves, declared them Ecological Reserve in 1995. 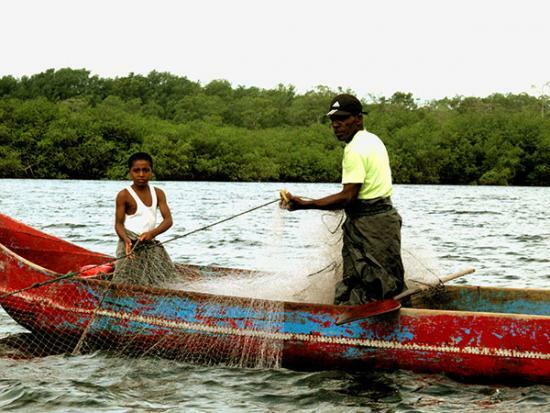 By doing so many afro-Ecuadorian communities that inhabit within and surrounding this area were also were greatly benefitted, given that the mangrove swamps are their main source for survival. From the ecosystem they collect conchs, clams, shells, oysters, crabs, shrimp, fish and prawns. Mangrove swamps, given the vast and diverse amount of nutrients they receive, are generally considered to be one of the world's most productive ecosystems. Mangroves are a very special type of tree, adapted to living in saline environments. 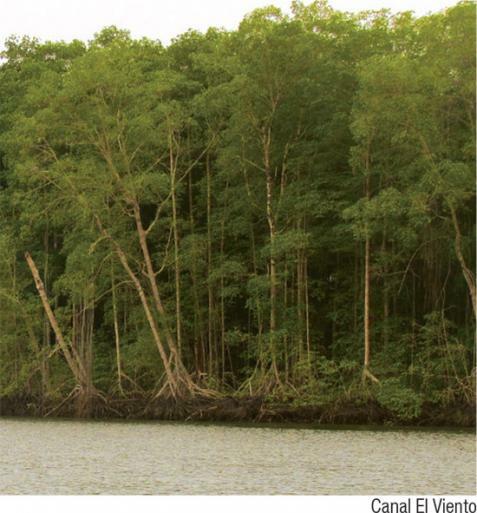 One of the defining characteristics of a mangrove tree is the strength of its roots, which need to be able to cope with the continuous pounding of the waves, much like an anchor. There are also other native species associated with the mangroves, ferms and small palms known locally as as 'ranconchales' and 'bromelias'. Seabirds are some of the most abundant and easy to spot animals: pelicans, frigates, cormorants, herons and kingfishers, amongst many others. Attracted by an abundance of food and nesting sites, the number of seabirds found within this ecosystem will amaze you. 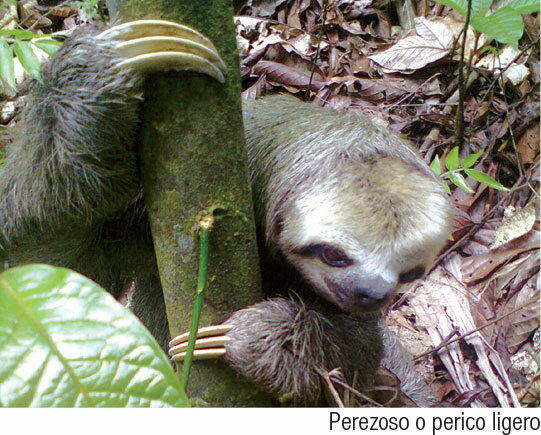 Less evident and more difficult to observe, are mammals including the crab-eating racoon, the nine-banded armadillo, ocelot, sloth, otter, agouti, anteater and even white-tailed deer and wild boar species. 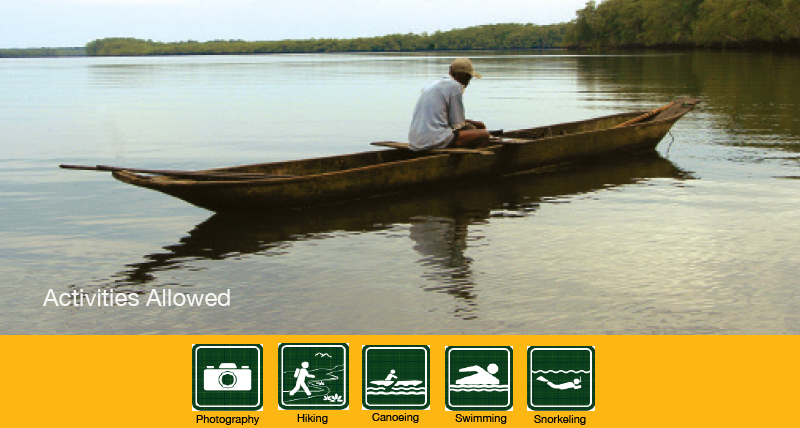 The great attraction of the reserve are the mangroves that grow in the rivernouths at the ocean. Here, plants and animals are adapted to living in a mixutre of fresh and salt water. The mangroves are connected by canals or estuaries that also serve as access to and from the towns of San Lorenzo, Borbón, La Tola, and Valdez (Limones). The canals that are used most are El Pailón, Boca de Mataje and Bolívar. 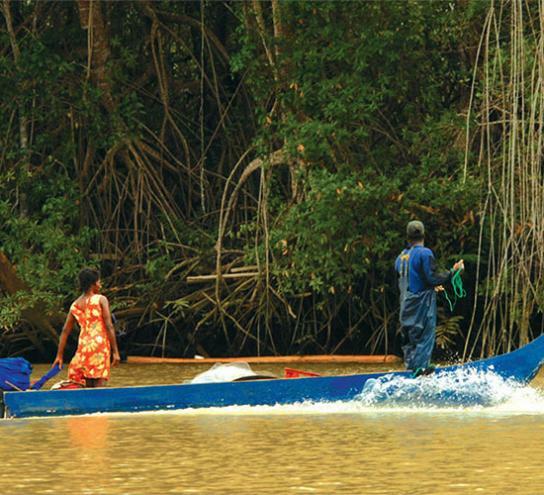 The most famous mangrove, called Majagual, is located near to San Lorenzo. Bird island is located in front of Bolívar canal, and it is here that millions of pelicans, herons, gulls, blue-footed boobies, ducks, frigates and other birds arrive to rest or mate. Another great attraction is the archeological site La Tolita. In the south of the reserve vestiges of the Tolita's culture have been identified; a race that lived in the area between 500 BC and 500 AD. 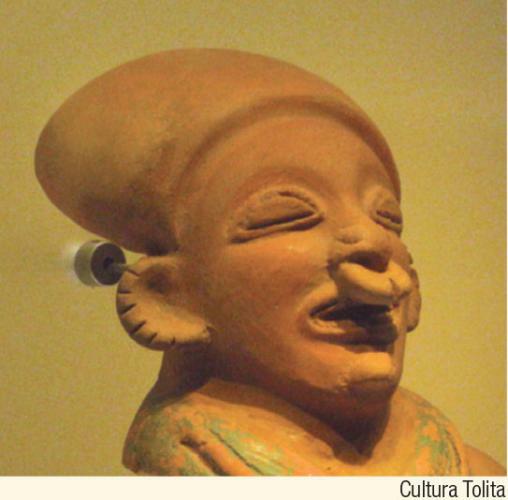 The site also has various 'tolas', small mounds that cover the tombs where they would bury their dead along with ceramics, gold and platinum jewelry, and food that would accompany the dead on their transition to the other life. Clothing: Light clothes and rubber boots to walk in the trails of the área. What to Bring: Sunblock, insect repellent, camera and/or binoculars, and enough drinking water.